as a full-service advertising agency working on everything from TV commercials to political campaigns (thankfully we no longer work with politicians). We offer a wide range of print, design and campaign services exclusively to Fiserv financial institutions. 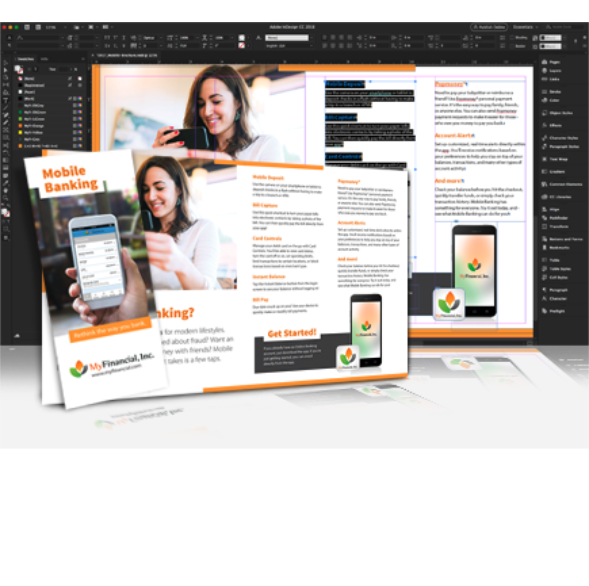 We have designed and written thousands of marketing communication pieces for banks and credit unions of all sizes. Our team of talented designers and coordinators will work with you on creating marketing pieces you will be proud to show your current account holders, prospective members/customers, as well as your staff. 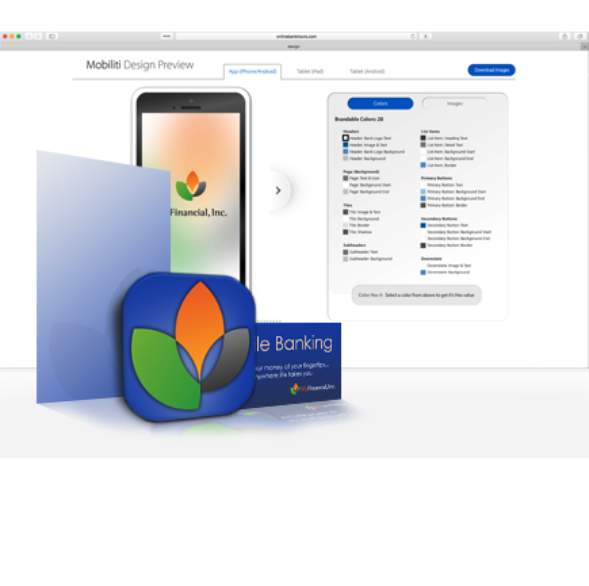 We have worked closely with Fiserv on developing a streamlined solution for designing and packaging the images and colors needed for the Mobiliti™ and Mobiliti Business™ apps. We have built tools from the ground up to make the proofing, revision and submission process easier for you, and have the experience to make sure it is done right the first time. We will work with you through all stages of the campaign development - from concept, message development and copy writing, to copy design, list management, and sending. Every email we send is CAN-SPAM compliant, and you will be working with a team who boasts years of experience on list management, deliverability and general best practices. This is an excellent service whether you are hands on or want everything taken care of on your behalf. Let us know if you have a need or an idea and want us to help you bring it to life - no matter what the channel or medium.